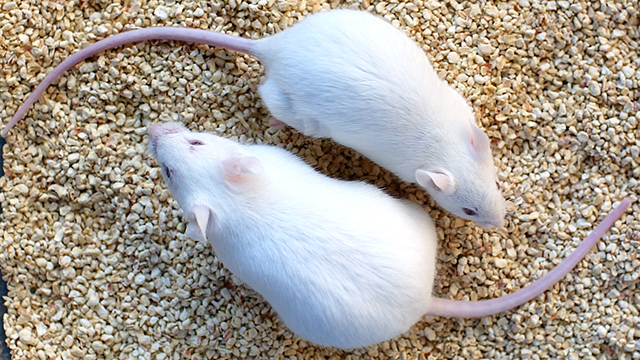 The U.S. public is closely divided when it comes to the use of animals in scientific research. Some 47% favor the practice, while 52% oppose it, according to a new Pew Research Center survey. 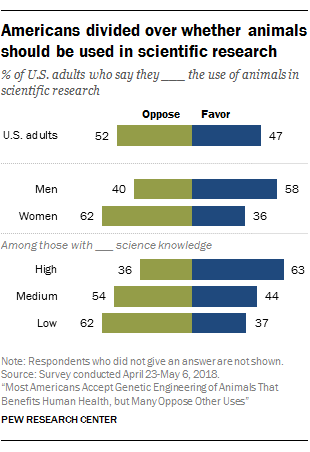 These findings are in keeping with a 2014 survey by the Center, which found similar results: 47% of Americans were in favor of using animals in scientific research, and 50% opposed it. The 2014 survey used somewhat different question wording and polling methods. Those with a high level of science knowledge – based on a nine-item index – are more inclined to approve of animal use in scientific research. About six-in-ten (63%) favor the practice, compared with 44% of those with medium levels of science knowledge and 37% of those with low science knowledge.